(Beverly, MA) – May 22, 2017 – Brookwood Financial Partners, LLC (“Brookwood”), a nationally-recognized private equity investment firm, today announced that Douglas Wald has been promoted to Vice President of Operations for BW Gas & Convenience Holdings, LLC, d/b/a Yesway, a gas station and convenience store chain with locations in Iowa and Kansas, and with expansions underway across the Midwest. Yesway is expected to employ over 1,000 people by the second quarter of this year with additional stores soon to be under management in Texas, Oklahoma, Arkansas and Missouri. 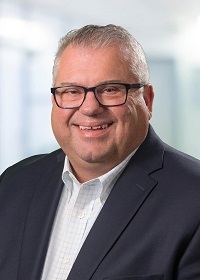 Prior to today’s announcement, Mr. Wald served as Regional Manager for Yesway and in his new role, he will continue to report to Brian Trout, Yesway’s Senior Vice President of Operations. Mr. Wald will continue to manage daily operations of the firm’s growing portfolio of convenience stores, assisting individual store managers with all aspects of store operations, including hiring, training and mentoring staff, creating merchandising and marketing plans, and ensuring that all applicable laws and regulations are followed. Mr. Wald’s new responsibilities will include overseeing the operating budget for the portfolio, including the P&L for each individual store, and serving as liaison between store-level employees and Brookwood’s senior management. Prior to joining Yesway, Mr. Wald was a Regional Operations Manager for The Pantry, Inc. where he held P&L responsibility for an 85-store chain in Kansas, Missouri, Indiana, Tennessee and Kentucky, which generated over $280 million per year in sales. Mr. Wald was also responsible for daily operations and fuel pricing and implemented marketing plans to enhance product merchandising and facility appearance. Prior to this position, Mr. Wald was the Chief Operating Officer for Presto Convenience Stores, where he managed 54 stores in two states with combined annual sales in excess of $250 million. Mr. Wald oversaw all store operations and built long-standing relationships with vendors to enhance product presentation and marketing methods. Mr. Wald is a graduate of Northern State University. About Yesway – BW Gas & Convenience, d/b/a Yesway, is headquartered in Des Moines, Iowa. Yesway plans to acquire, improve and rebrand 500 convenience stores in selected regions of the United States over the next several years. For more information on Yesway, please visit the company’s website at www.yesway.com.